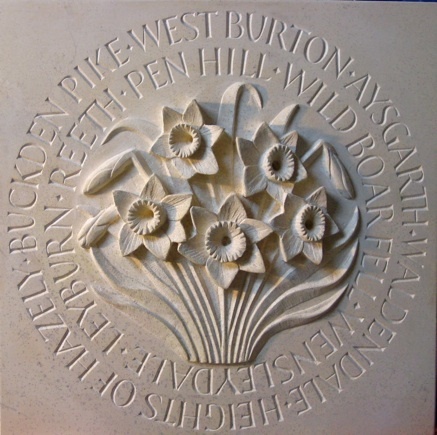 From my Oxfordshire-based studio, I work with sedimentary stones and with slates, combining stonemasonry with carving and letter cutting to make unique, functional, and decorative items. Every piece is individual and designed from scratch to suit the client’s needs, tastes, and budget. Following an initial meeting or conversation by phone, I draw up sketches and these are used as the basis for further discussions. Many clients come with clear ideas of what they want, whilst others come looking for guidance or inspiration. 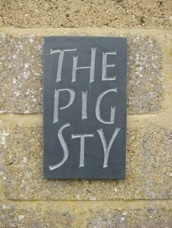 Whatever the situation, the finished item is a product of the collaboration between client and craftsman. The work cannot be rushed. 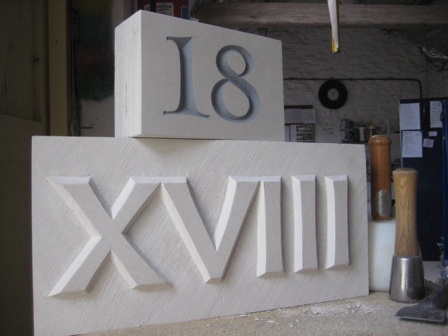 Stone is a resistant material that demands careful and methodical work. Choosing and ordering the right type of stone can also take time, especially when pieces need to be ordered from quarries. However, smaller items such as house names and date stones can usually be prepared more quickly from material in stock. You are welcome to visit my studio to have a look round, see work in progress, and discuss a possible commission without obligation. Please do contact me first, however, to make an appointment. This website contains photos of my work and more information about me. Click on the headings at the top to access the various pages. *shown like this to reduce spam. Please email if you would like to join the list for information on any future courses.